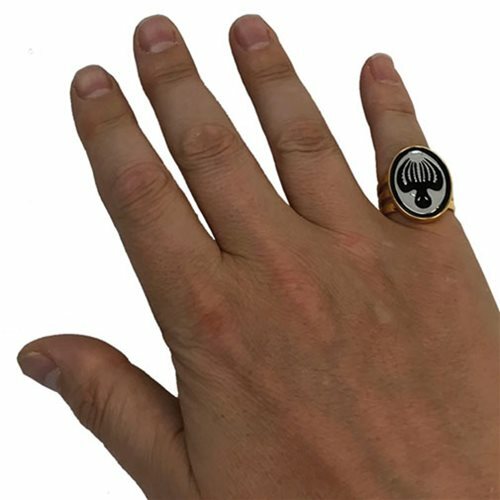 From the team at Factory Entertainment comes the James Bond Thunderball SPECTRE Agent Ring Limited Edition Prop Replica! 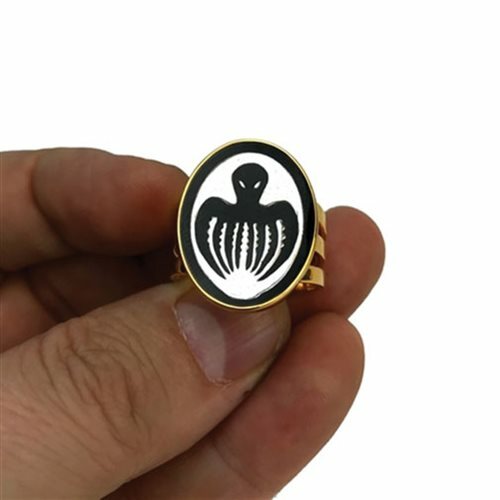 As seen in Thunderball, the SPECTRE ring is one of the hallmarks of the nefarious SPECTRE (Special Executive for Counter-intelligence, Terrorism, Revenge and Extortion) organization. 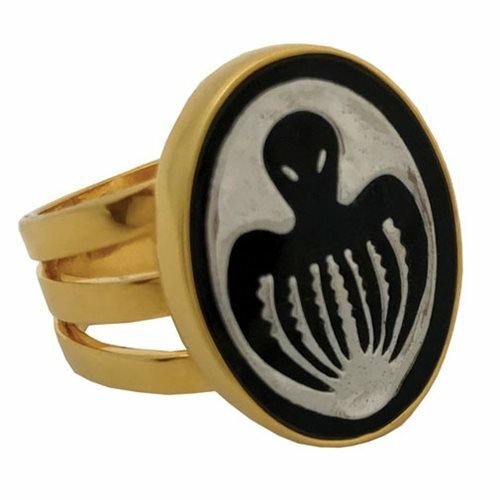 Each important member of SPECTRE wears a ring bearing the infamous octopus motif. 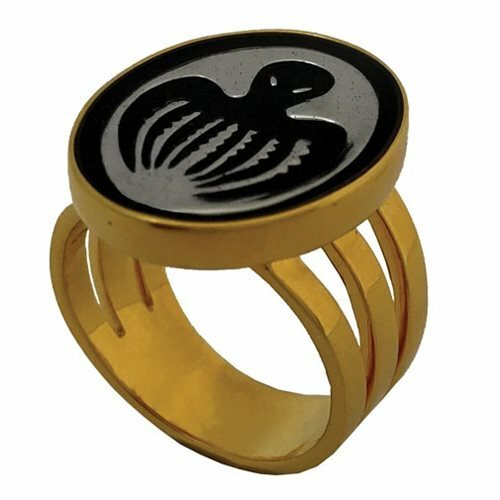 The replica SPECTRE ring is meticulously handcrafted in 14K yellow gold over solid sterling silver, with the recessed black enamel SPECTRE insignia accented by polished rhodium. An invisible layer of clear enamel protects the octopus motif so that the surface is smooth and durable. 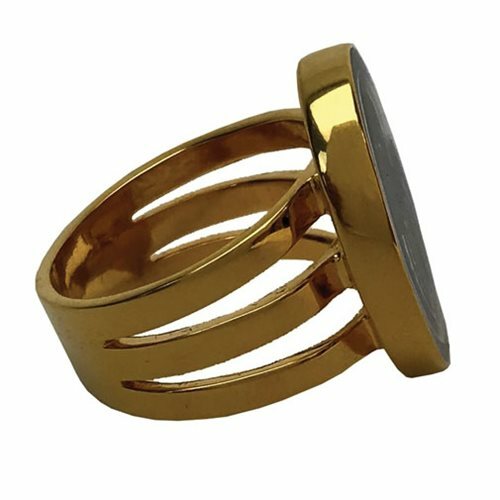 The underside of the ring is solid backed with a screen accurate split-style shank. Each replica is supplied in a gift box with a Certificate of Authenticity. Limited to 500 pieces worldwide. Ring size 11.